Following the support of Gillian Forrest's research, The Ashley Charitable Trust created the 'Mummy's Lump' book in May 2008. The title was published and distributed nationwide by Breast Cancer Care. 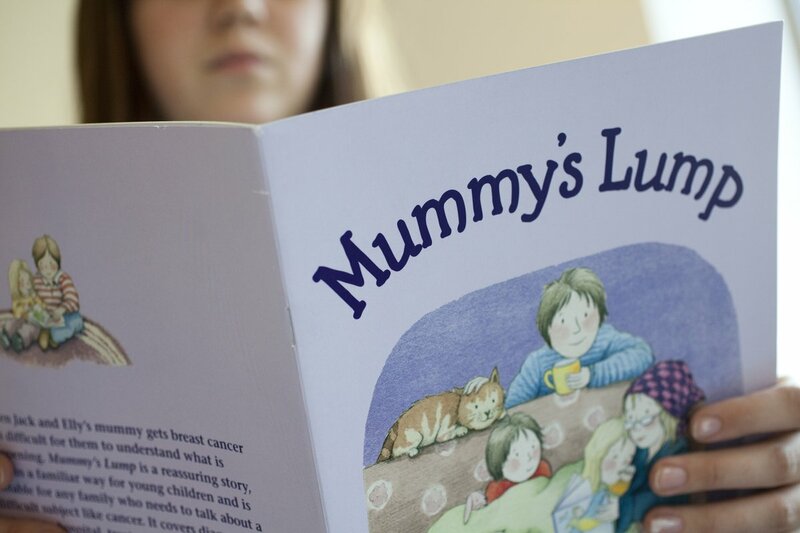 Mummy's Lump is aimed at children aged 10 and under, whose mothers have been diagnosed with breast cancer. This is the first book aimed at children of this age in the UK and was awarded the prize for Best Charitable Initiative at the Pfizer Excellence in Oncology Awards in October 2008. In addition to the donation, Breast Cancer Care were enormously grateful to The Ashley Charitable Trust for the financial support to Gillian Forrest, which made a very valuable contribution and has undoubtedly been a factor in the book's success. To date, over 50,000 copies have been distributed to hospitals, oncology centres and GPs and an audiobook is available, narrated by Zoe Wannamaker. 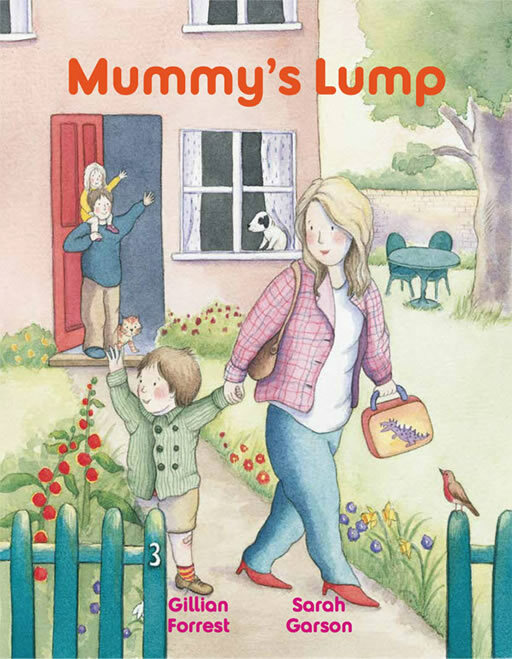 Click here to download your copy of Mummy's Lump. Of the 46,000 women diagnosed with breast cancer each year, it is estimated that 30% will have children of school age. Mummy's Lump is designed to give patients the tools and support to talk openly and confidently with their children about what a diagnoses of breast cancer means, and dealing with the effects as a family. Synopsis: Mummy's Lump follows the story of siblings Jack and Elly, and how they cope with their mother's diagnosis and treatment of breast cancer. The book covers topics including what breast cancer is, what happens at the hospital, potential side effects of radiotherapy and chemotherapy, and what will happen after treatment has finished. The book has been designed in the style of other children's books, so it fits comfortably on a child's bookshelf, with clear and easy to understand language and images illustrated by Sarah Garson. 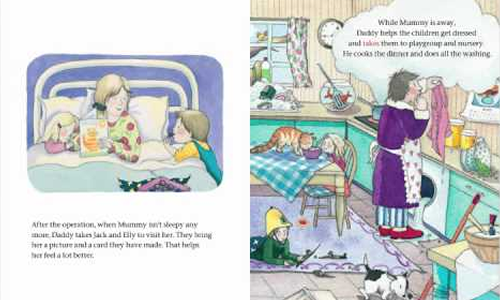 Mummy's Lump is written by Gillian Forrest, Senior Research Fellow in the Section for Child and Adolescent Psychiatry, University of Oxford, Park Hospital for Children, and illustrated by Sarah Garson. Parents sometimes misunderstood their child's reaction and under-estimated the emotional impact or did not recognise the child's need for more preparation and age appropriate information about the illness and treatment. The more children were prepared and informed, as appropriate for their age and development, the more it seemed to help them cope. The response to Mummy's Lump has been tremendous, with a huge amount of interest from patients, health professionals and the media. Tens of thousands of copies have been sent out, in addition numerous downloads from Breast Cancer Care's website. The book will be available through the Jane Ashley Women's Centre. In addition to winning the prize for Best Charitable Initiative at the Pfizer Excellence in Oncology Awards, Mummy's Lump continues to receive national media coverage and acclamation. This includes coverage in Daily Telegraph, Daily Mail, BBC online, several women's magazines and the Lancet Oncology. There was widespread regional coverage across the UK, using the experiences of Breast Cancer Care media volunteers who had breast cancer while their children were young. Gillian Forrest also appeared on ITV's This Morning and there were also a number of regional radio features on the book, including BBC Radio.